Blue Camomile (NEW!) 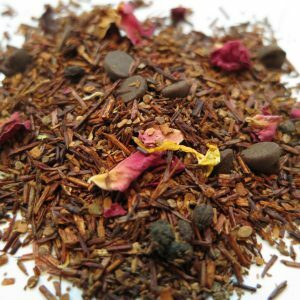 – Banff Tea Co. Blew Tea! 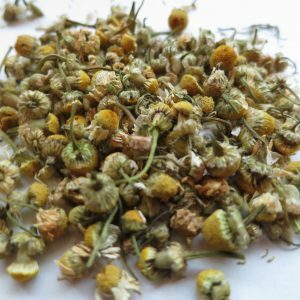 This Camomile and Blue-Pea-Flower blend mixes these beautiful herbals together, into the blue…. Country of Origin: Herbs from various Countries. 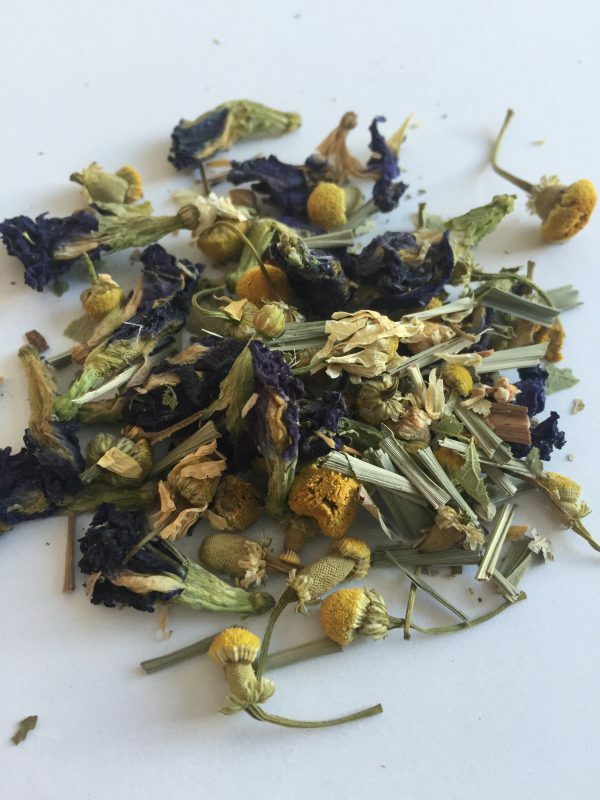 Ingredients: Chamomile, blue pea flowers, linden flowers and black berry leaves. 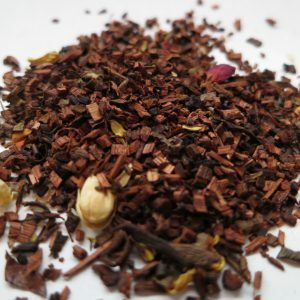 Steeping Suggestions: 1 teaspoon of tea (3g) per 6oz cup of water, 100°C (212°F) for 5-8 minutes.